Description: Shannon and Adrienne have been best friends ever since they were little. But one day, Adrienne starts hanging out with Jen, the most popular girl in class and the leader of a circle of friends called The Group. Everyone in The Group wants to be Jen's #1, and some girls would do anything to stay on top—even if it means bullying others. Now every day is like a roller coaster for Shannon. Will she and Adrienne stay friends? Can she stand up for herself? And is she in The Group—or out? Review: In this charming graphic memoir Hale reflects on her elementary school years and focuses on childhood friendship. As a child Shannon feels lost. She does not quite fit in at home, being the middle child between two older and two younger siblings. Shannon also feels a bit lost at school with not finding friends her own age until she meets her first friend Adrienne who Shannon attaches to pretty quickly. As we all have experienced, childhood friendships are mercurial and changes quite frequently. When Adrienne moves up on the social ladder and becomes more popular she leaves Shannon behind and joins the "the group"'s ringleader Jen. Shannon remains on the outer fringes of the "group" where mean girl Jenny is determined to keep Shannon there by spreading rumors and bullying her. 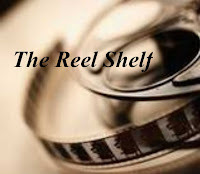 Eventually Shannon does find friends in sixth graders Zara and Veronica who show Shannon that being yourself and being nice is the key to popularity. I like how the book is divided into sections titled with the name of a friend or frenemy: Adrienne, Jen, Jenny, Zara and Veronica, and Shannon's oldest sister Wendy, whom she imagines as an angry bear. It was very easy to empathize with Shannon’s painful experiences of being left out, teased, and bullied. While there are dark moments for Shannon, readers will rejoice whens he learns how to find real friends, avoid toxic ones, and stands up for herself. There is also a brief mention of Shannon developing mild OCD and undiscovered anxiety which contributed to her stress and frustration with making friends. Hale also does a good job in showing how Wendy also faced similar setbacks on finding friends too and eventually bonded with Shannon. The illustrations are vibrant and the characters leap off the page. There is a nice balance between humorous and sensitive depictions of the young characters’ wide-ranging emotions that work well with the text. 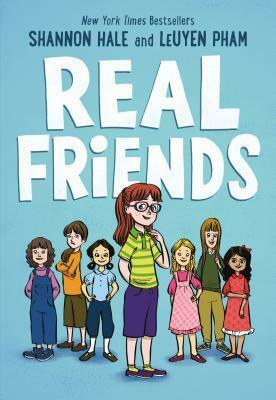 Real Friends will be a hit with fans of Raina Telgemeier’s and Cece Bell’s graphic memoirs.